Situation: in the village, rural Saint Léonard. Estate (private use): approx. 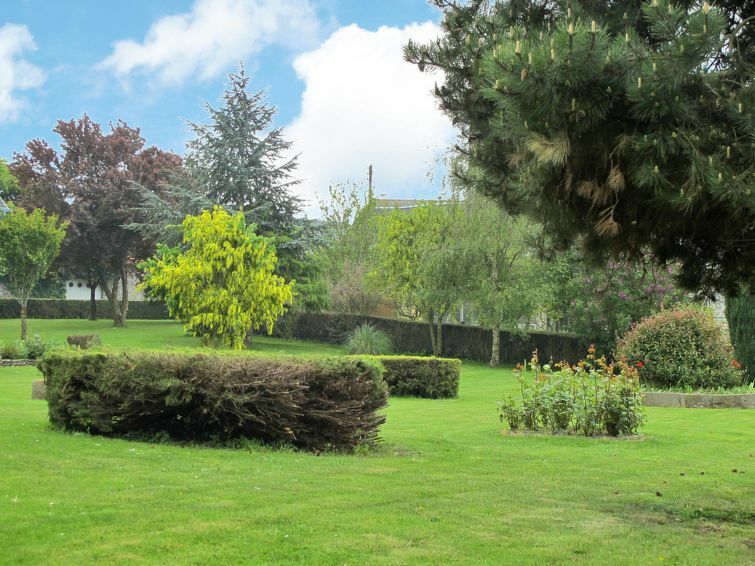 1000 m², open plot, with plants, well-kept, lawn. Outdoor facilities(private use): reserved open space, terrace, furnishing provided, 2 deck chairs, barbecue. Center Saint Leonard in approx. 100 m. Vains in approx. 2 km. Avranches in approx. 8 km. Next shopping possibility (Genêts) in approx. 3 km. Next supermarket (Avranches) in approx. 8 km. Sea in approx. 1 km. Sandy beach in approx. 7 km - 15 km. apartment, 6 people, 4 room/s, 3 bedroom/s, 1 bathroom/s, approx. 100 m², 1 floor/s. Please note: Non-smoking house. Permanent tenant lives at floor 1. Feature: Property in a two-family property. natural stone house. Equipment: satellite TV; washing machine; oil central heating; storage room (external access only). Living room: sofa, fireplace (only for decoration), exit to terrace. Kitchen: separate, further dining area for 6 people, exit to terrace. Kitchen/ cooking equipment: 4 gas rings, oven, microwave oven, grill, dish-washer, refrigerator, small freezer, coffee machine, water boiler, toaster. Bedroom 3: queen-size bed, single bed (0.80 m wide). Local service charges none. Linen/towels must be brought along. Deposit € 100 (in cash). Cot/​High chair free of charge (on order). Pet not allowed.